At the midnight launch of The Old Republic, I won the original trilogy on BluRay! That was awesome! Midnight came, and I wanted a game guide. Sold out. Boo to EB Games. On the waaaaay up side. 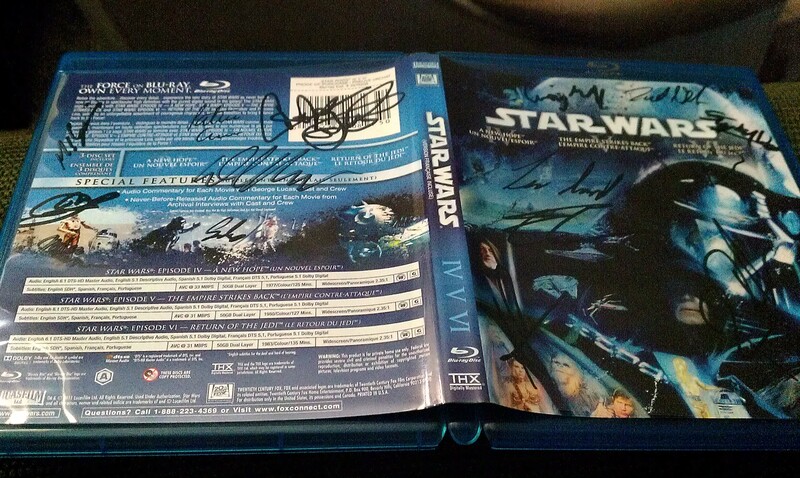 I got the amazing guys from #BioWare to sign my movie! They were just as excited as me to release the game as I am to play it! And I told them I am playing it on Mac, although it is PC only. And one of.the guys said 'Cool, most of is here are Mac guys'. I was afraid I would be jumped by PC hardcores. I am tried today, but regret nothing! See you on ToR.